"Scalawag" was the derogatory nickname used by conservative southern whites to describe other southern whites who were active members of the Republican Party during Reconstruction. In North Carolina, the latter group was quite large and contained a significant number of outstanding leaders. The native-born white Republicans were primarily concentrated in two parts of the state: the "Quaker belt" in the Piedmont, including Randolph, Moore, and Guilford Counties; and the Mountain areas of the west, especially Mitchell and Wilkes Counties. Most native white Republicans had come to oppose the Confederacy at some point during the Civil War. 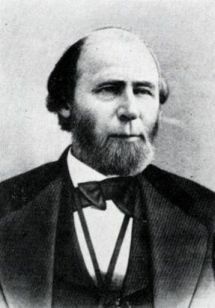 Raleigh Standard editor William W. Holden became their leader during the last stages of the conflict and the early part of Reconstruction, when President Andrew Johnson appointed him provisional governor of the state. After he was defeated for a full term by Conservative Party candidate Jonathan Worth in 1865, Holden and many other white Republicans endorsed the congressional Republicans and African American male suffrage. In 1868 the native white Republicans dominated a constitutional convention that created the most democratic state charter in North Carolina's history. Under the new document, Holden was elected governor and Tod R. Caldwell, of Burke County, lieutenant governor. Other white Republicans, including Alexander H. Jones of Henderson County, were sent to Congress. When white supporters of the Conservative Party resorted to violence during the 1870 legislative campaign, Holden created and used a state militia composed of partisans from western North Carolina and eastern Tennessee. This so-called Kirk-Holden War dominated the 1870 elections, which the Conservatives won decisively. When the General Assembly impeached and turned Holden out of office, Caldwell became governor. Caldwell was elected to a full term in 1872; he died in 1874 and was succeeded in office by Curtis Brogden. The revived and renamed Conservatives-now calling themselves Democrats-nominated Zebulon B. Vance for governor in 1876 and defeated the Republicans despite a strong run by Thomas Settle Jr. of Rockingham County. Settle, a former North Carolina Supreme Court justice and U.S. ambassador to Peru, was widely respected by opponents and allies alike. His aggressive campaign provided the impetus for a strong white presence in the North Carolina Republican Party throughout the post-Reconstruction period, when whites deserted the party in many other states of the former Confederacy. Gordon B. McKinney, Southern Mountain Republicans, 1865-1900: Politics and the Appalachian Community (1978). Richard L. Zuber, North Carolina during Reconstruction (1969). "Portrait of William Woods Holden, governor of North Carolina in 1865 and from 1868 to 1871." Photo courtesy of LeanNC. Available from http://www.learnnc.org/lp/multimedia/12771 (accessed May 3, 2012). 1 January 2006 | McKinney, Gordon B.